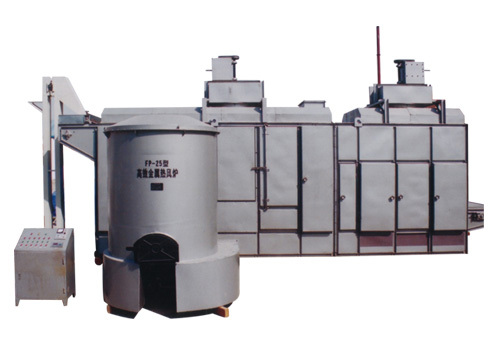 The product line is mainly composed of oven, peeler and half grain separator, selecting belt, material feeder, primary grinder, mixing pot. 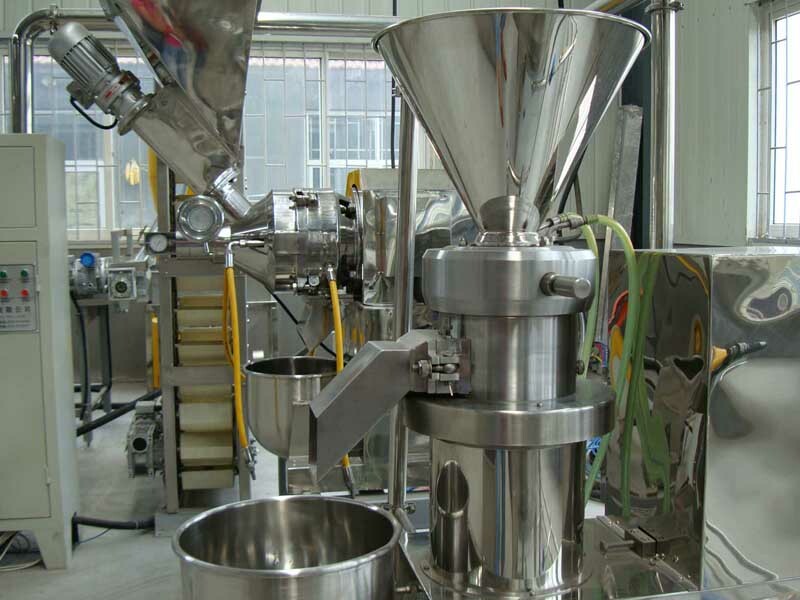 mixer, blender, fine grinder, vacuum pot, cooler and filler, etc. 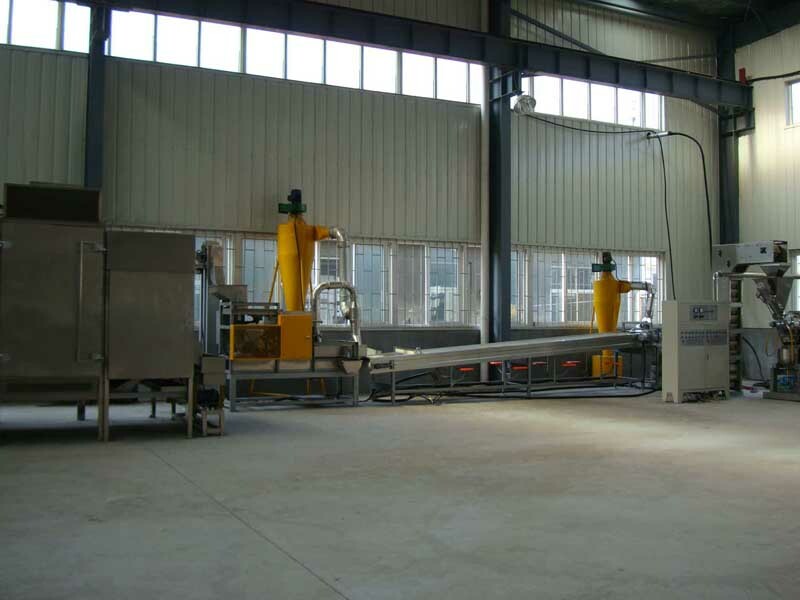 It has characteristics of line processing, high mechanization degree, good reliability, airtight production and no pollution. 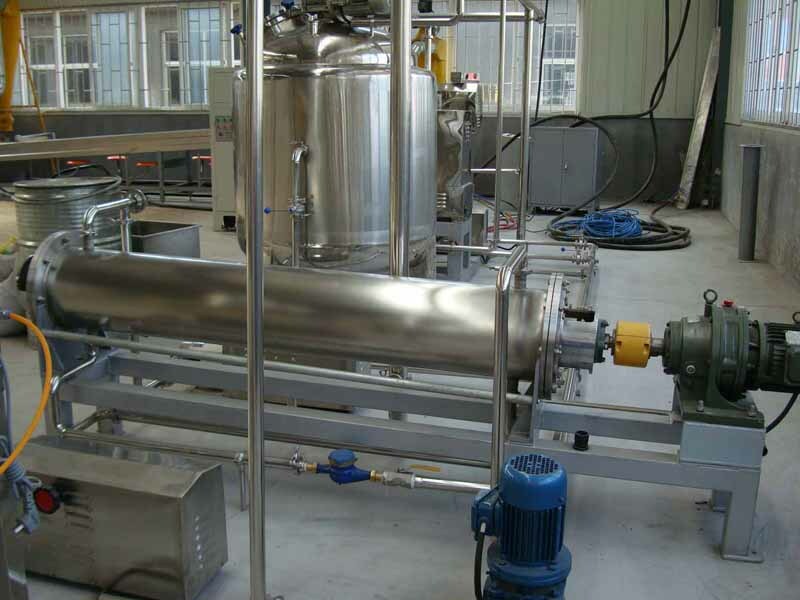 Produced peanut butter can reach standard of export. 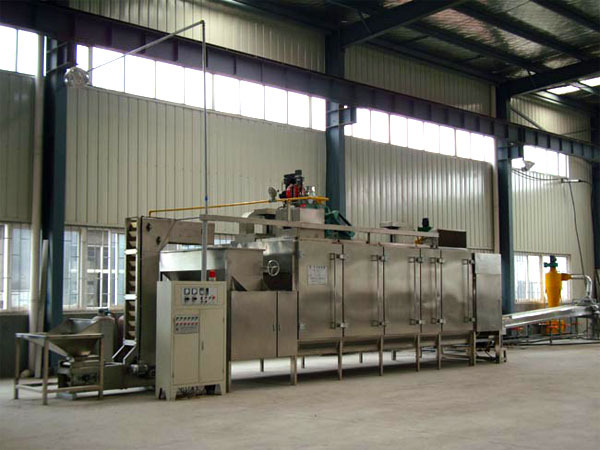 c. Blanching: through this processing the roasted peanut kernel is taken off the red skin, most of material is done half-piece, then through the selecting conveyor, the over-roasted and un-blanched peanut kernel is picked up. 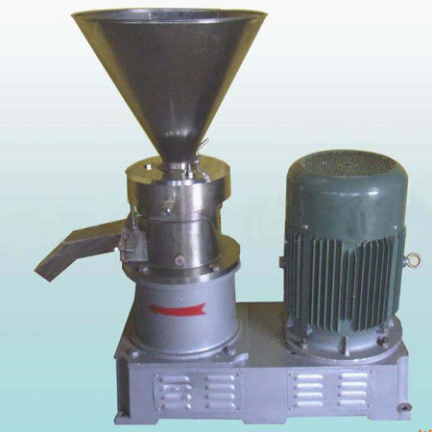 e. Second grinding: Using colloid grinder to make the second grinding, the fineness of grinding is controlled below 7um, temperature of grinding is controlled below 68C. g. Cooling: the butter through second grinding should be cooled immediately. The temperature should go down 45C. h. Storage tank: settling down in the storage tank till the temperature drop to air temperature. i. Packing: by the filling machine, the finished peanut butter is packed into 200g/500g/1000g bottle. 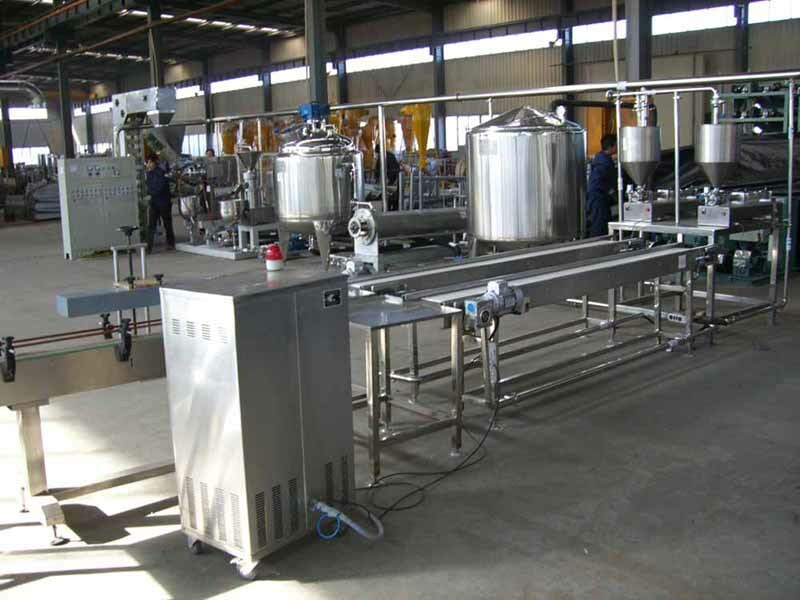 Material: All parts which touching food material is made by stainless steel. 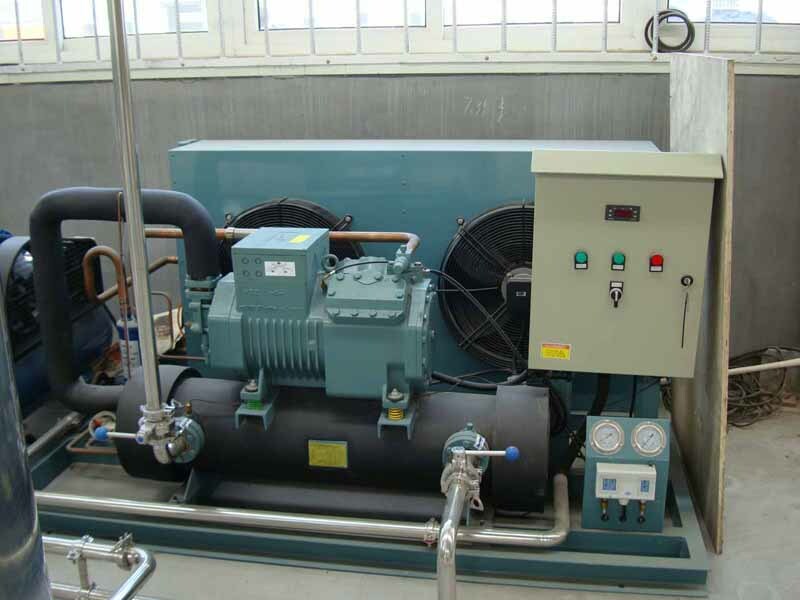 The machine’s supporting base and power parts is made by carbon steel. 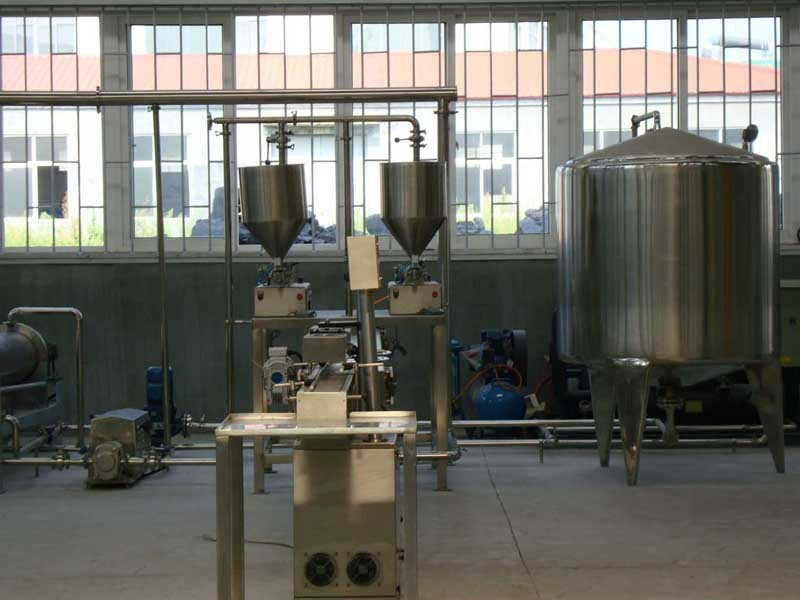 Peanut Butter Production Line including peanut blanching machine, peanut roaster, peanut mills, ect..